ISRAEL REYNOSO Born & bred in Mexico, I used music as an escape from our daily problems. Growing up with six brothers & sisters and a widowed mom who worked round the clock so she can provide for us, music literally, transported me from our one room apartment & into an arena filled with vibrant beats that made me lose track of time and worries. But my complete devotion in becoming a DJ was when at the age of seventeen; I moved to New York City and experienced Junior Vasquez, Frankie Knuckles, Danny Tenaglia & Lord G in the city’s legendary nightlife. By the time I was twenty, I was fortunate in having my own gigs spinning around the city, which I used as a stepping stone in creating my own vibe & learning to feed off of the crowd’s energy. 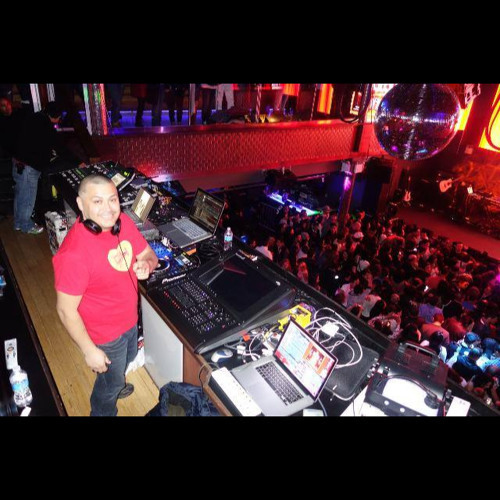 This opened doors for me and presented the opportunity to share the DJ booth with immense talents like Tony Moran, Eddie Elias, Mike Cruz, Norty Cotto, Glenn Friscia, DJ RANNY, Mike Da Wizard, John Rizzo, DJ Eddie Cruz, Maria Dark & Merritt just to name a few. These collaborations led me to long time residencies at Lucho’s Place, Club Atlantis, Friends Tavern, The Monster & La Escuelita at New York City. I also held recurring guest spots at Asseteria NYC, Arena Night Club, Splash NYC , Escandalo the Party @ AMBRELLAS night club, Club Extravaganza, Krash Party’s, Club La Boom, Club Odyssey, Pacha NYC & CIELO STAGE 48. REBAR NYC, Club Fuego at DC, WINTER MUSIC CONFERENCE at SCORE MIAMI. Escandalo the club in Puerto Rico, & Club Friends in Medellin Colombia. One of my most proud moments as a DJ has been when I’ve been able to go back and play in my home Town in Mexico City. Being based to only one genre of music, does not equate to continued success. With time, the rhythm passes & adapting yourself to what comes next is essential to a DJ.